Political opponents and critics are piling on presumptive Republican nominee John McCain for answering that he was unsure how many houses he owned during an interview Wednesday. When questioned by the political web site Politico about the number of properties he and his wife owned, McCain hesitated, said he wasn't sure, and then directed the questioner to ask his staff. "I think - I'll have my staff get to you," McCain said. "It's condominiums where - I'll have them get to you." The response was swift. In a televised CNN interview this morning, Virginia Gov. Tim Kaine––on the short list to be Sen. Barack Obama's running mate––joked that perhaps McCain "can't count that high." [video]. Kaine went on to hammer the point that McCain, whose wife has a fortune estimated around $100 million, is out of touch with economically struggling Americans. The McCain camp has wasted no time in responding, putting Obama's own home in the conversation. "It's a frickin' mansion. 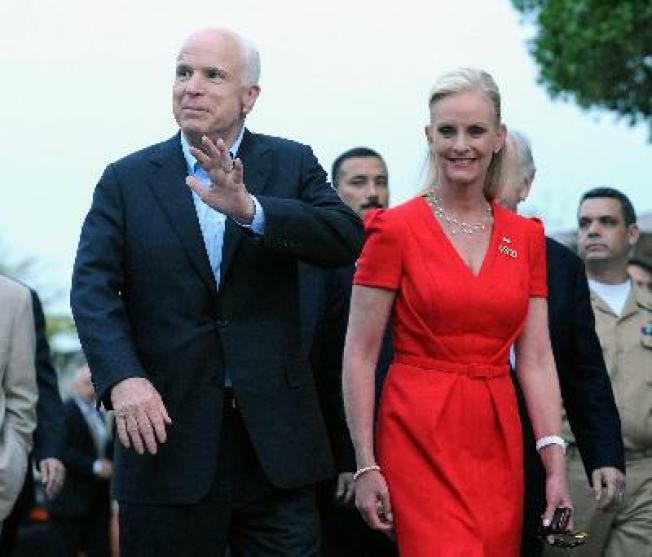 He doesn't tell people that," said McCain spokesman Brian Rogers. "You have a mansion you bought in a shady deal with a convicted felon." The felon in question is Tony Rezko, a one-time Obama contributor who was convicted earlier this year on charges of fraud and bribery. "Obama paid $300,000 less than the asking price for a doctor's home," reported Tim Novak in the Chicago Sun-Times last year. "While Rezko's wife paid the doctor full price for the vacant lot next door. Then -- a few months before Rezko was indicted -- Obama bought part of that lot from Rezko's wife." "That's fair game now," said Rogers. "You are going to see more of that now that this issue has been joined. You'll see more of the Rezko matter from us." So how many houses does John McCain have? That's still unclear. Last year, Newsweek estimated that the McCains owned seven properties, a figure repeated by reportedr Adam Nagourney in The New York Times. McCain's staff did respond to Politico and said that the candidate had four residences, including homes in Virginia, Arizona, and California. In a quickly produced campaign spot, Obama goes with the number seven and pegs the homes' combined value at $13 million. The spot ends with a shot of the White House and a voiceover intoning that it's one that American can't afford to let McCain move into. As the story unfolded today, Wonkette published a map that showed the location and value of each alleged property, as well as reminding folks of the private jet the McCains use to fly from home to home.